Osun state government has announced the provision of free train transport for the citizens of the state who would want to visit the state for this year's Easter celebration. Apart from those living jn Lagos, those travelling from towns in the route between Lagos state and Osun state will also benefit from the free trip as approved by Governor Adegboyega Oyetola. Adesina said the objective pf the free train transport is to give financial relief to the citizens and to also enable them to celebrate with their family members and loved ones. He said the train will stop over at designated Train Stations in Ogun and Oyo states. It is the second time the Oyetola Administration will provide free train transport for citizens going home for religious celebration. The first time was in December 2018, for people travelling home for Christmas, barely one month after the governor took office. 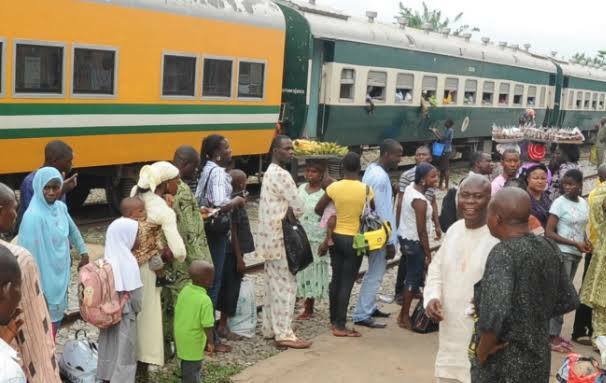 Millions of people have benefitted from the Free Train Movement since it was initiated by the State Government of Osun in 2011. It has continued non-stop.